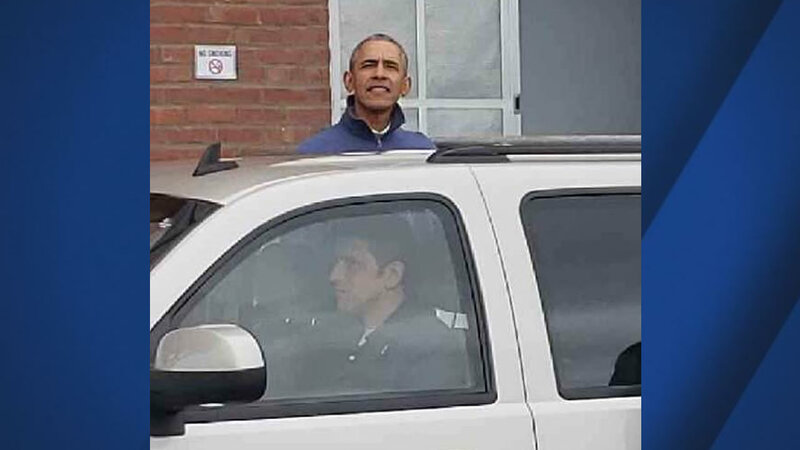 SAN FRANCISCO (KGO) -- Former President Barack Obama is spending time in San Francisco. Someone in the Public Defender's Office snapped a photo of him outside the Adobe building in the South of Market neighborhood on Thursday. The office posted the picture. According to a spokesperson, Obama jokingly said "get back to work." Click here for more stories and videos related to former President Barack Obama.